Seeing how other cultures think can be quite helpful for understanding the Bible. Dieting and weight gain are particularly interesting topics to explore. Consider the surprising experience some friends of mine had on a short-term missions trip to Uganda. They were invited to visit a local prayer group where women were standing up and sharing their testimonies. You can imagine the chuckling among my friends who were visiting. We can hardly imagine celebrating our expanding waistlines. But in Africa, being fat is a sign of health and prosperity, because hunger is a common problem. Your navel is a rounded goblet that never lacks blended wine. Your waist is a mound of wheat encircled by lilies. (Song of Songs 7:2). But the soul of the diligent is made fat. This positive attitude might seem surprising until you realize that the common struggle in the ancient world was against hunger, not flab. 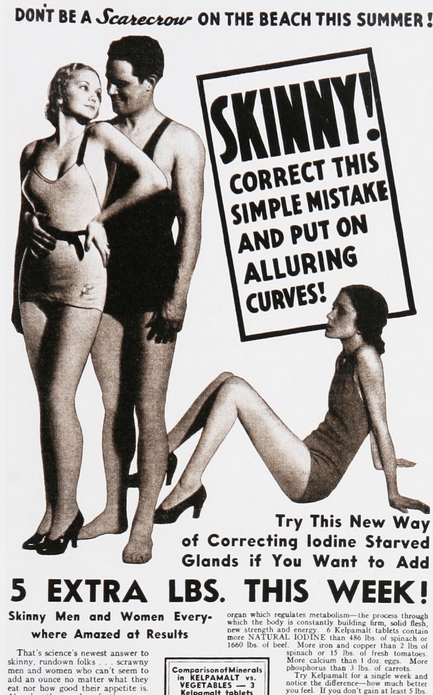 You even see this attitude in advertisements from a few decades ago, when products were marketed to help women put on weight and avoid looking skinny and gaunt. 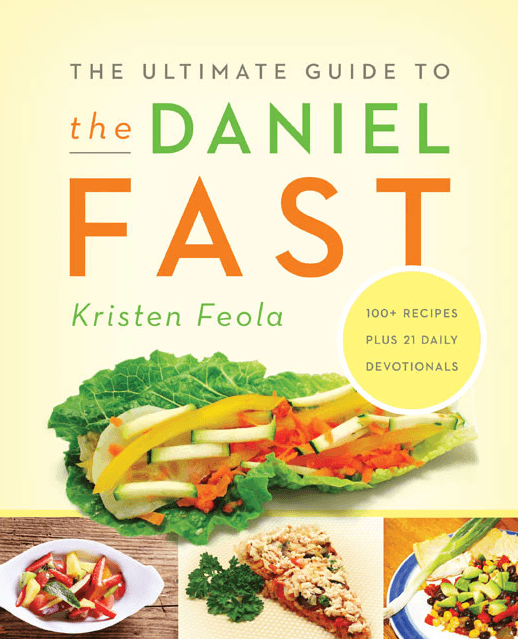 Nevertheless, dozens of dieting books have scoured the Bible for weight loss secrets. * A favorite source of inspiration is the first chapter in Daniel. He and his friends eat a diet of vegetables instead of the royal banquet table, so he’s celebrated as an example of victorious dieting. Some translations render this as “healthier,” but the Hebrew word here is bari, which is also used to describe Eli’s sons who ate sacrifices before the suet was removed (1 Sam. 2:29) and the king of Eglon who sported an overflowing potbelly (Judges 3:17-22). 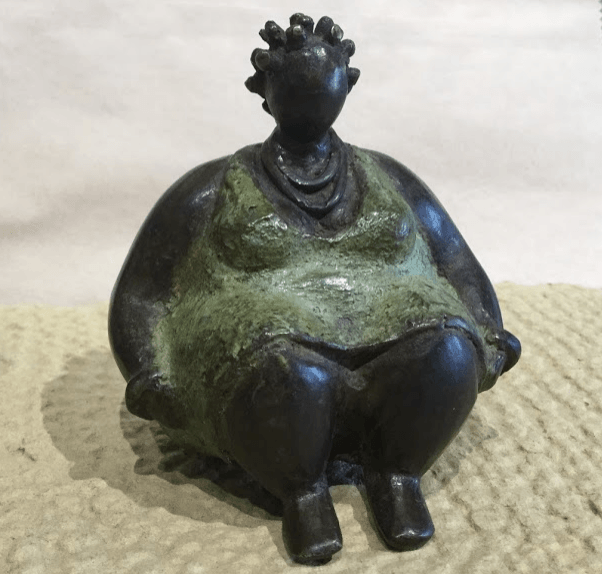 Indeed, the same Hebrew word was associated both with weight gain and with healthiness (as in labriut, “to your health”) precisely because the two ideas were once so closely associated with each other. Obviously, we don’t need to take this as a biblical command to eat excessively. Many of us would be healthier if we slimmed down. What’s important is to be reminded that our culture’s interest in weight loss isn’t universal. Much of the world does not have the food resources that we do, and for much of history people didn’t either. We’ve been blessed with abundant resources, and it’s hard for us not to overeat. To read the Bible authentically, we need to keep in mind where our culture is at, relative to the Bible and relative to the rest of the world. More on this theme of “repacking your mental bags” because of differences between our culture and the biblical world can be found in my upcoming book, Reading the Bible with Rabbi Jesus. 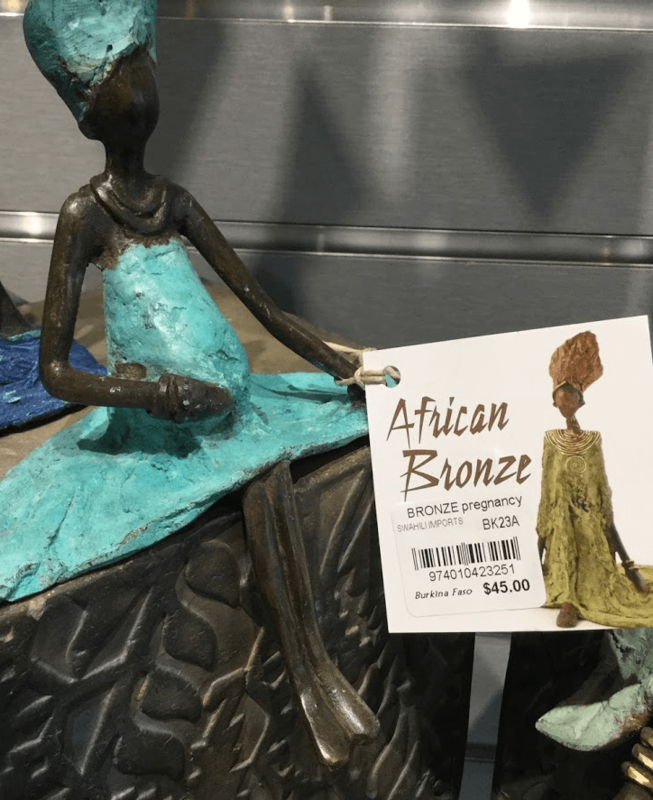 Credit: The sculptures above were created by artisans in Burkina Faso and were on display at The Bridge, a store in downtown Holland, Michigan that sells work by artists in the developing world at fair trade prices. That’s a fascinating perspective. I enjoy reading your insights. Very interesting. This cultural awareness has helped so much. Also Inteesting because I am in a group addressing our health and habit issues using the Daniel Plan material. I found your site while searching the web for the meaning of Matthew 13:32. Thank you for the reminder that our preoccupation with exta pounds isn’t universal. Your blog put a smile on my face. (The sculptures are beautiful). In searching to pray for my daughters “Ish”, I found you. Please add me to your email list and a website where I might find other Hebraic understandings. 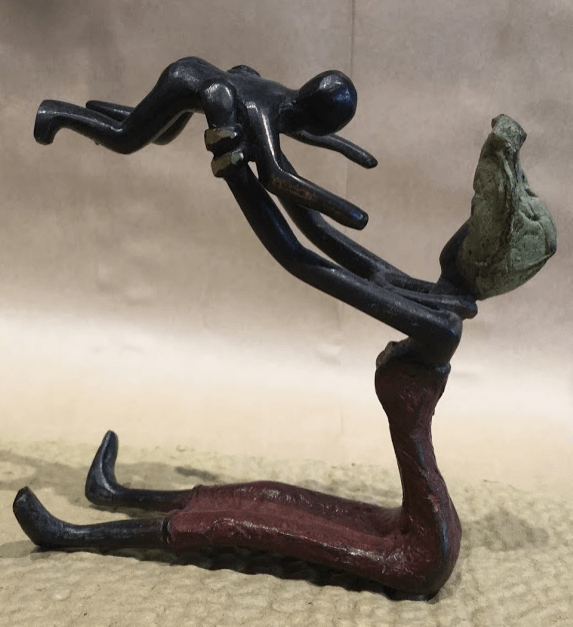 I am now praying for her…..”Bashert”…..
Do you have any insight?